Food is a café and market all rolled up into one. It is a mom and pop restaurant that serves the community, rather than luring random pretentious peeps to "eat" and play with their food. The food is practical, straight forward and delicious. 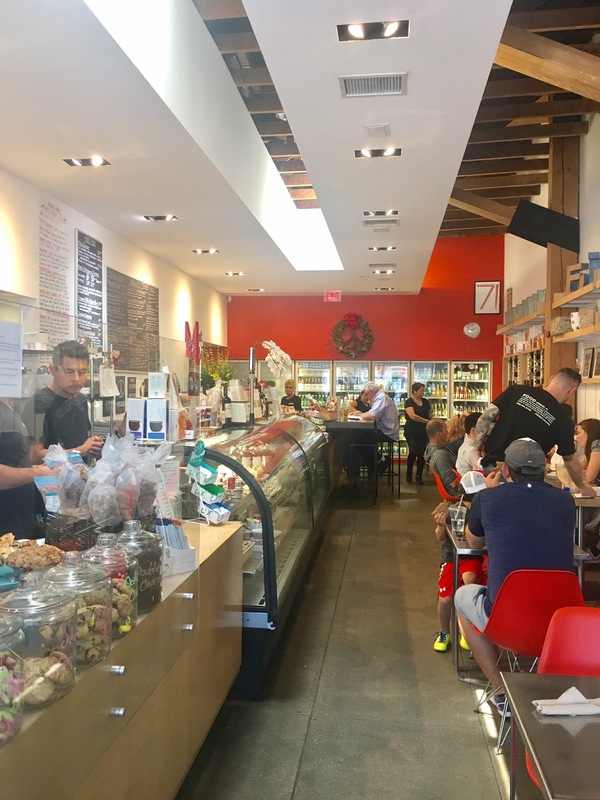 It's run by a woman named Judy Ornstein, who has over 30 years in the food biz. She's sweet and cares about offering food that isn't too bad for you, at least in my opinion. 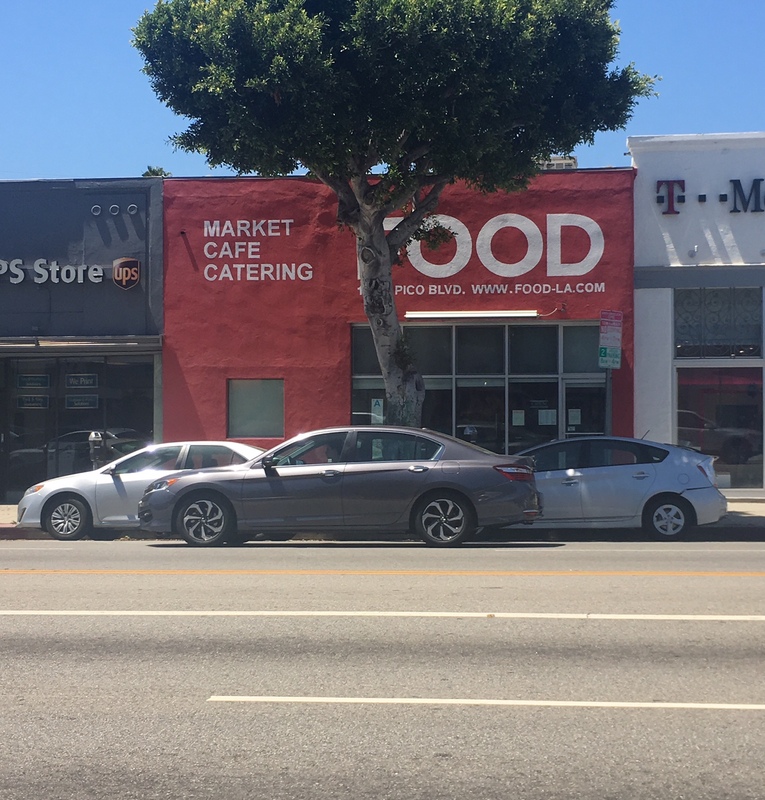 Compared to other restaurants around the neighborhood, the food is on the healthier end. It's a good place to grab a bite without feeling guilty with the food you're eating. It's not greasy, it's not too fatty, it's absolutely just right. LATTE ($4.00): This latte, though simple, is amazingly delicious. 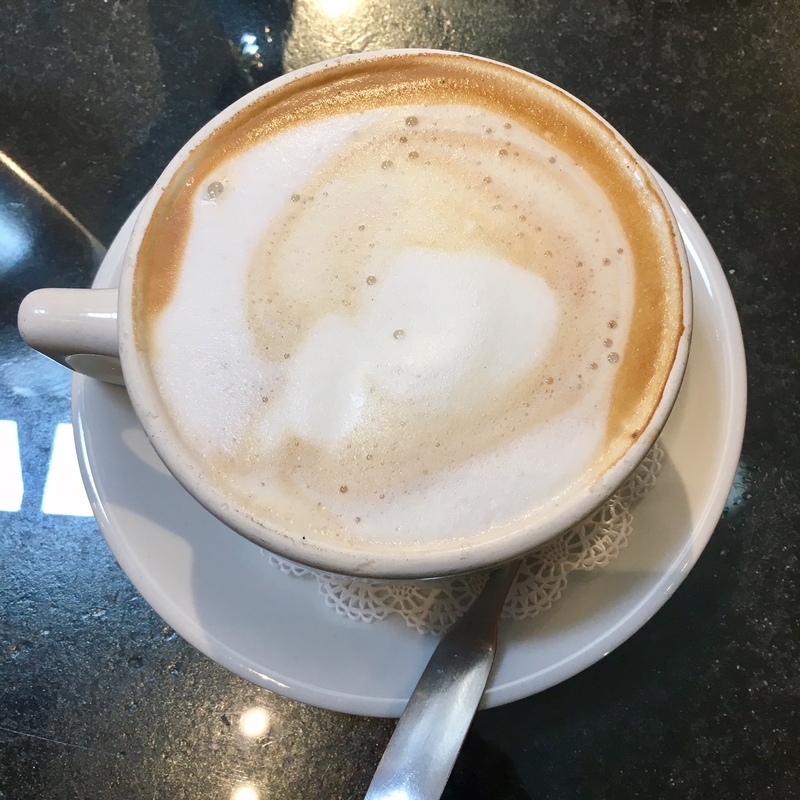 I got one shot of espresso and the froth on the milk was creamy. It was just the way I like it. I actually didn't even need to add sugar to my drink. That's saying a lot...! 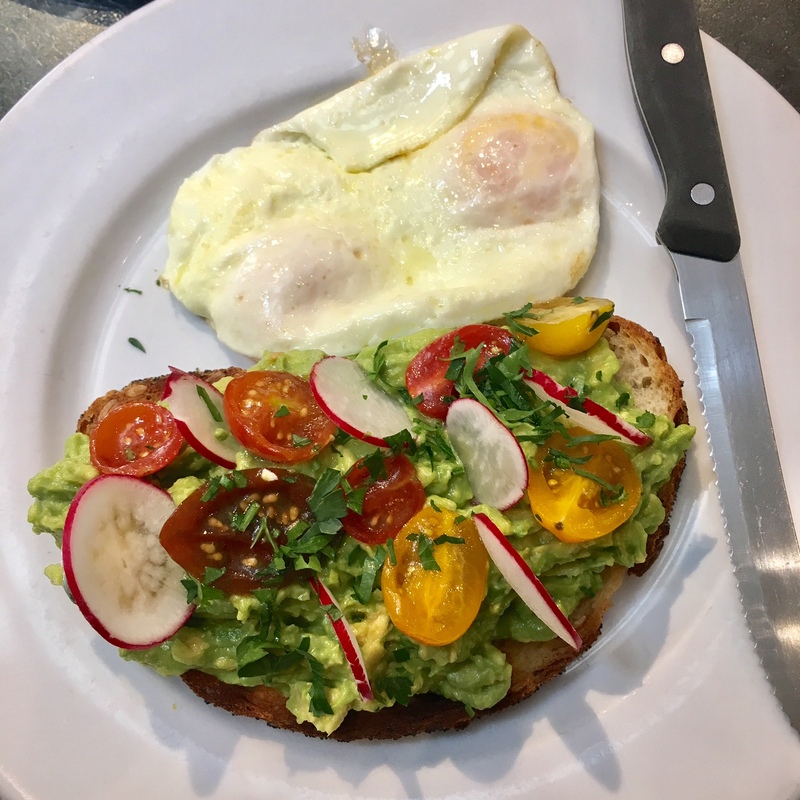 AVOCADO TOAST AND ORGANIC EGGS YOU CHOOSE ($14.25): Smashed Avocado, Lemon Juice, Extra Virgin Olive Oil, Heirloom Cherry Tomatoes, Shaved Radishes, Chopped Parsley and Celtic Sea Salt on Lightly Toasted Sunflower Poppy Seed Bread and Comes with Side Eggs, You choose. The avocado toast was fresh and yummy. It was refreshing to taste something so good and good for you too. Everything about this dish was seasoned well and it was even better when I dipped my toast in the egg yolk. 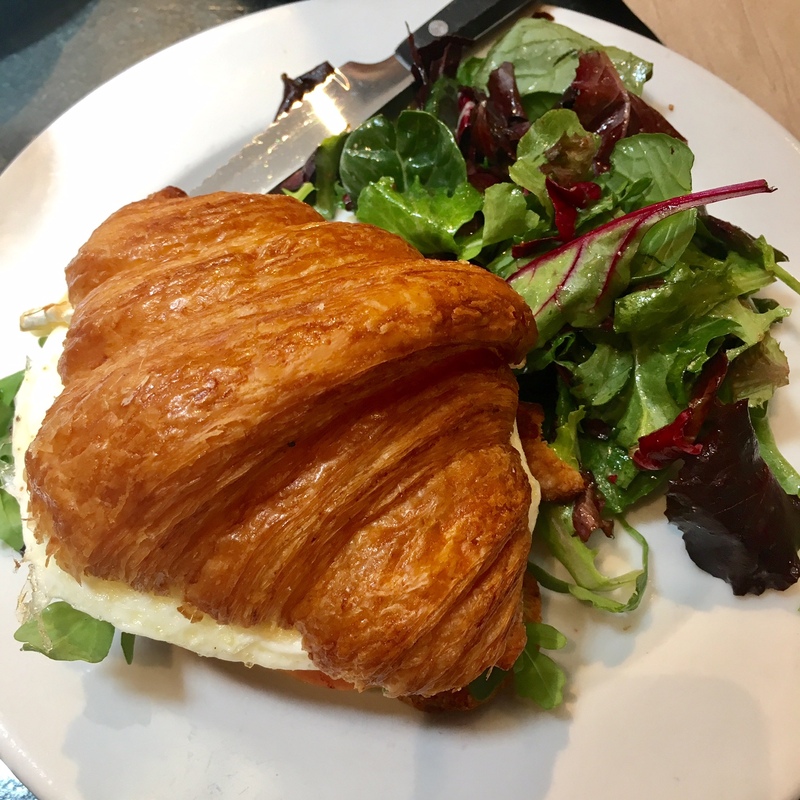 CROISSANT BREAKFAST SANDWICH: This was so good and a little on the indulgent end with the croissant. It was filling and satisfying and the herb salad was a great accompaniment to the sandwich. If you want something that's rich without feeling heavy or greasy, this is the dish to get. 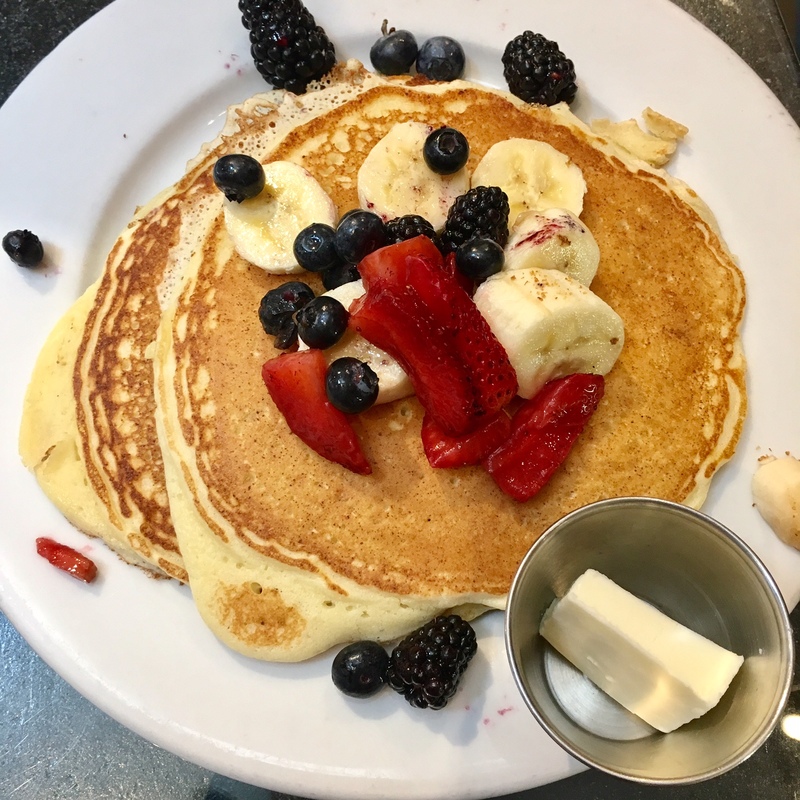 RICOTTA PANCAKES ($11.00): With Berries and Bananas. OMG THESE WERE DELICIOUS. It was dense enough without feeling heavy and rich without feeling like you're sick. The pancakes were still fluffy and I loved the berries that came with it. It was a filling meal and gave you the right amount of sweetness for the morning. 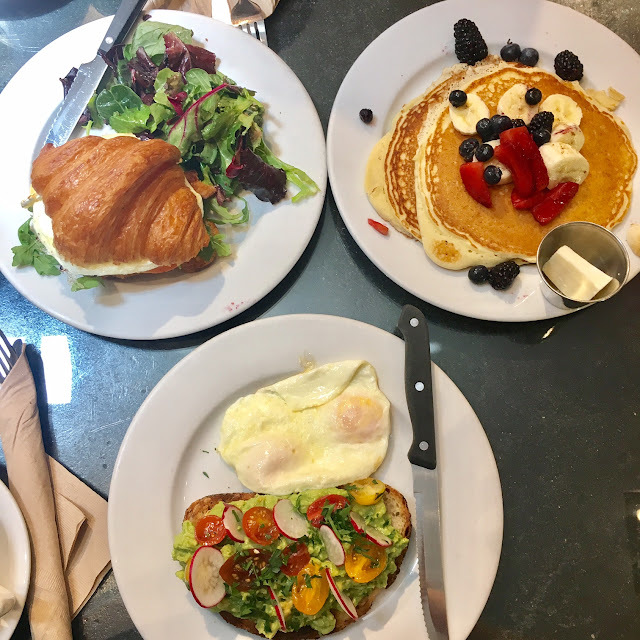 Overall, Food is a great neighborhood brunch spot for healthy, delicious eats. Everything we had was delicious. You know when you sometimes get a greasy breakfast and leave feeling sick, this isn't the spot that would do that to you! I loved all the bites and they have a great variety for everyone. This will probably be my new go-to spot on the Westside. Thanks Judy for delivering great food and good eats!